Ridley Scott's Prometheus has been on the mind of every self-respecting film buff whose head isn't made of cheese for the past few months now. It's no secret that nerd boners are at the beck-and-call of any small tidbit of information regarding the film or its production, and with that in mind, I felt a certain sense of movie blogger duty to shine some light on the sci-fi masterpiece's place in movie history. Yes, you heard me correctly. History has been forever altered as Prometheus vaults into the uncharted territory of movies rated higher than 100% on Rotten Tomatoes. Since cross-promotion worked so well for Mission Impossible: Ghost Protocol and The Dark Knight, movie studios have decided to give it another go with The Dark Knight Rises. Attached to every IMAX copy of the film, the first 6 minutes of Encino Man 2 will be shown in amazing, never-before-seen, digital quality. We've yet to confirm with our sources if the movie will be in 3-D or not, but studio pressure might make that decision apparent. "We have a lot of hungry eyes to feed," Buena Vista Pictures/Walt Disney Motion Pictures Group spokesperson, Todd McPherson, said. "Imagine weezin' the juice in the third dimension. Picture being able to watch the whole prom party dance in unison as Link leads the brigade - in 3-D."
Earth's mightiest heroes have been basking in the glory after their defeat of Loki, but trouble looms ahead for the most popular earth bound Avenger. Not satisfied enough by the fact their planet was saved from evil Asgardian enslavement, the EPA has launched an investigation into Stark Industries arc reactor technology. The government agency believes Tony Stark AKA Iron Man's clean renewable energy source might not be all it's cracked up to be, and they're now demanding access to all of his facilities on what they call a "data probing" mission. Walter Peck, lawyer for New York City's third district EPA branch, will be spearheading the investigation of Stark Industries. As of right now, Stark's plans for giving the energy source to the world for free have been suspended indefinitely pending the outcome of the probe. We here at GPS always train our interns to sniff out factual inaccuracies in movies and marketing material, and it looks like all that hard work has paid off yet again. 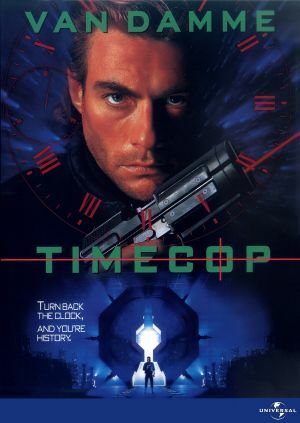 After perusing the DVD of Jean-Claude Van Damme's seminal time travel movie, Timecop, it became apparent that some of the claims made on the back cover were suspect. In order to get to the bottom of this development, we interviewed leading specialists in various fields. As expected, philosophers, writers, and scientists all had strong opinions when it came to the back cover of the Timecop DVD. The Lammys are upon us all, and we here at GPS want to give you a lot of reasons to vote for us. We're eligible for several categories, including Best Blog and Best New LAMB, but the one we're really gunning for is Funniest Writer. Why should you want to see that winning banner on our site? Well, continue reading and I'll show you. I've already seen what's past the jump. It's pretty sweet. 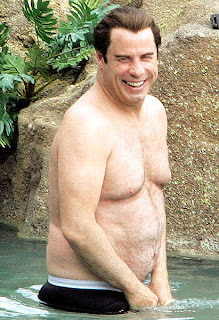 It's been a busy few days for John Travolta. Already two male massage therapists have come forward with allegations of Travolta sexually assaulting and belittling them during massage sessions, and more could be on the horizon. Quick to combat any negative P.R., the known-Scientologist and pilot decided on an impromptu flight to Miami in order to prove he's not gay. The actor is quoted as saying, "You want me to prove it? Oh, man. You shouldn't have thrown that gauntlet down." So, I was just sitting around watching The Spy Next Door, and the thought occurred to me: "Hey, wait a minute. Why can't an international spy who's brought down dictators make breakfast without setting off a smoke detector?" That's a profound question, indeed, and it led me to my current belief that I'm well-equipped to deal with the dual existence of being a CIA operative and a father. Oh, you doubt me? Fine. I now enter into evidence the The Five Things I Can Do Better than Jackie Chan. It's no secret: The Avengers are here. You can see them flying around, punching things, yelling, and sweating in what almost seems like slow-motion. These facts are undeniable. However, we here at GPS have decided to take a closer look at what the emergence of these so-called superheroes means for both the Human race and planet Earth. 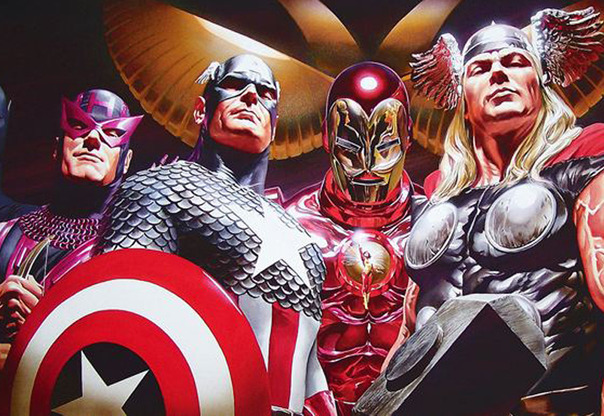 Our dogged determination to make sure our interns know how to research things has led us to believe there are two impacts The Avengers' appearances and subsequent actions have made: An environmental impact, and a spiritual and cultural impact. Part one will focus on the spiritual and cultural impact, and part two will examine the consequences of Stark Industries arc reactor technology.